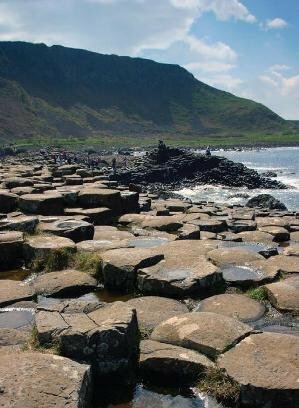 Some geologists claim that the Causeway was formed over 60 million years ago. But other geologists, who approach Giant’s Causeway with a biblical understanding of the past, have another explanation. Giant’s Causeway with its unusual formations attracts thousands of visitors each year to Northern Ireland. Some geologists claim that the Causeway was formed over 60 million years ago by intermittent periods of volcanic activity. But other geologists, who approach Giant’s Causeway with a biblical understanding of the past, state that this wonder was formed around 4,500 years ago as a result of a single, great catastrophe. The formation of Giant’s Causeway is drenched in Irish folklore. According to one of the most well-known legends, Giant’s Causeway was formed by Finn MacCool, an Irish giant. One day Finn MacCool was enraged by the ranting of the Scottish giant named Finn Gall from across the Channel. So, Finn MacCool tore large pieces of rock from the cliff and pushed them into the ocean floor making a land bridge across the Channel. However, when he was finished, he was too exhausted to fight Finn Gall. He built a large crib, disguised himself like a child, crawled in and fell asleep. Seeing the completed causeway, Finn Gall crossed the Channel to fight. When he found MacCool’s house, he walked in and saw the crib. Looking into the crib, Finn Gall saw a massive “child.” Thinking that this was Finn MacCool’s child, he quickly reasoned that MacCool must be massive and fully capable of handily whipping him. So, Finn Gall turned and retreated to Scotland, breaking up the causeway behind him as he went. The sheer cliffs and honeycomb-shaped columns are not the result of feuding giants; they are the result of two major forces—volcanic activity and water. The Causeway Basalts are made up of seven separate lava flows, most of them measuring about 100 feet (30 m) thick. The Causeway varies in height from 330 feet (100 m) down to the water’s edge. These layers were produced as a result of the earth’s plates shifting. These movements created great openings in the earth’s crust, through which lavas rushed out and covered the land. This intermittent tectonic activity generated the different layers of lava that are found in this area. Each layer of lava was hardened and then cooled by water before being covered by another layer. The 40,000 or more, mostly six-sided, columns of Giant’s Causeway give evidence of this cooling between layers. The columns formed as the lava began to harden and cool from both the top and bottom of the lava pool. As these lavas hardened, they contracted, creating deep cracks all along the surface of the lava pool. The lava then continued to cool and contract which, in turn, extended the cracks vertically until they finally connected, forming columns. There are many evidences around the Causeway that testify to how water shaped this area: 1) broken rock is found on top and bottom of the lava flows where water rapidly cooled the lava after it hardened; 2) a yellowish-brown material resulted from a chemical change produced when the water cooled the rock; 3) long, vertical tubes were produced by the steam that bubbled up through the cooling lava; and 4) twisted columns, called entablatures, were produced when, after each separate lava flow, water returned and filled the cracks in the lava. Evolutionary geologists, attempting to date rocks found in Giant’s Causeway by using a process called radiometric dating, have obtained a date of about 60 million years. Radiometric dating attempts to determine the age of a rock by comparing the amount of the radioactive parent elements to the amount of the corresponding daughter elements in the volcanic rock. Radioactive parent elements decay over time into different daughter elements. 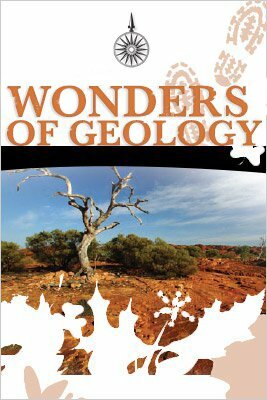 Evolutionary geologists assign dates to rocks based on the ratio of respective parent and daughter elements found in those rocks. However, radiometric dating methods are flawed for three reasons: (1) scientists can only guess at how much parent and daughter elements were present when the rock formed; (2) it is assumed that the rate of radioactive decay inside rocks is constant; and that (3) no processes have added or removed parent or daughter elements. The Bible, God’s Word, speaks of a catastrophe that greatly altered the entire face of the earth—a global Flood. 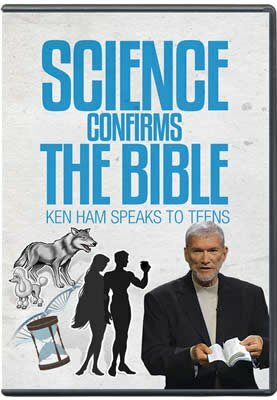 Scientists who accept the biblical record date the Genesis Flood to about 4,500 years ago, rather than believing the millions of years determined by the faulty radiometric dating methods. Several months into Noah’s Flood, the sedimentary strata now found in Northern Ireland had been deposited by the violent currents of the Flood waters. Then late in the Flood, as the waters began receding, volcanic activity covered the sedimentary strata with thin layers of lava. This lava then hardened as it cooled. As the tectonic activity paused, the waters briefly covered the area again, depositing floating mats of vegetation and other sediment on the lava surface. Within days, the tectonic activity continued, resulting in the layers of lava and sediment being covered with another layer of lava. This rapid cycle of volcanic and tectonic activity with water surges resulted in the columns and cliffs we see in Giant’s Causeway today. The conditions of the Flood described in the Bible provide an explanation for the formation of Giant’s Causeway. It stands as a testimony to a time when God judged the wickedness of mankind, but protected those on the Ark who obeyed Him.